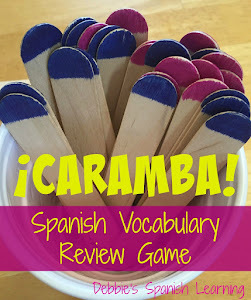 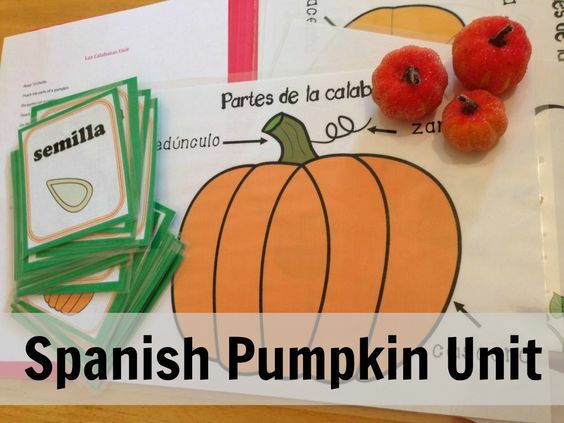 With autumn approaching soon I thought I would consolidate all my posts of learning activities in Spanish related to the fall. 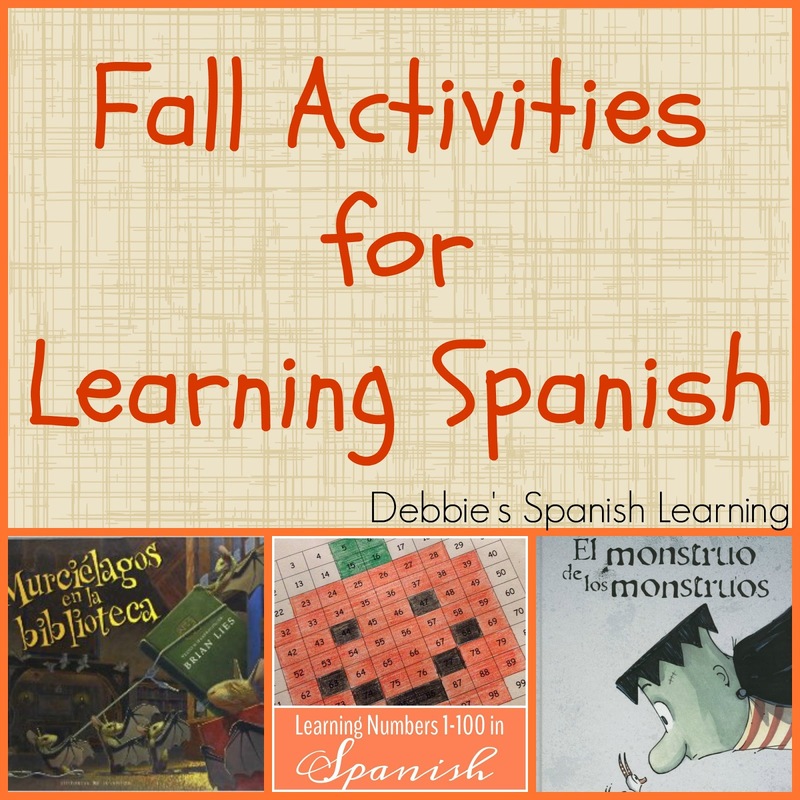 The books, activities, and resources are perfect for the colorful months of September, October, and November. 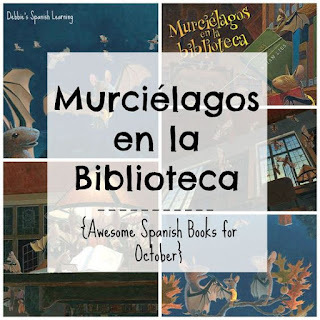 Here is a list of children's books for the fall months. 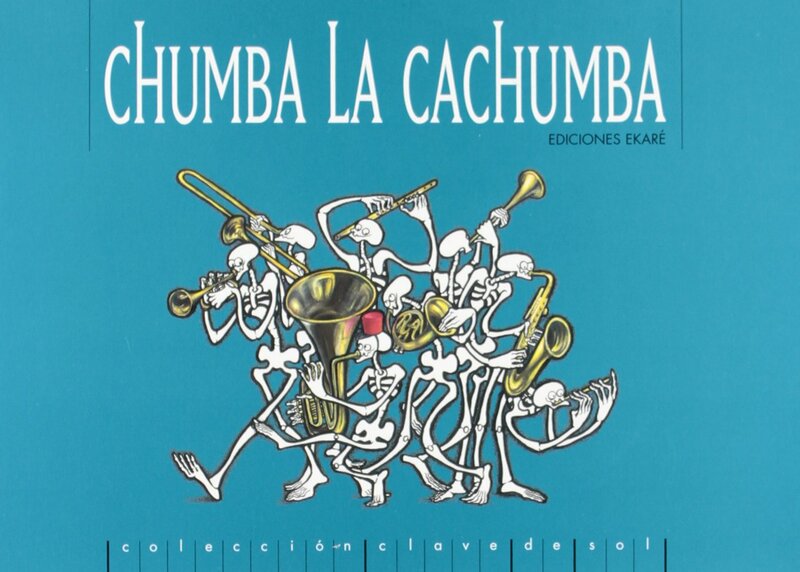 Chumba La Cachumba is a traditional song that introduces telling time with skeletons. 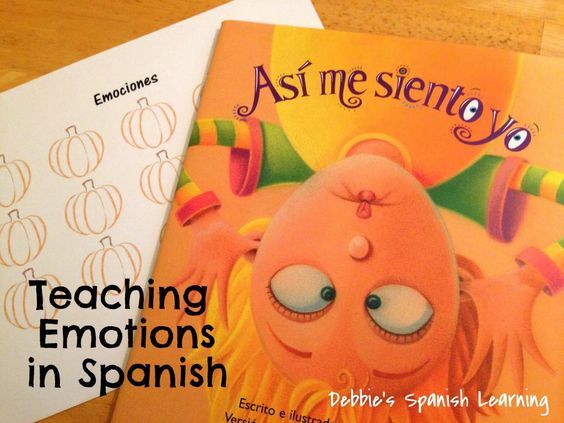 One of my favorite books for teaching emotions along with a printable activity for the fall. 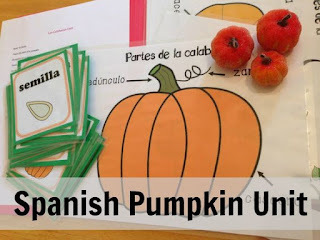 A pumpkin unit in Spanish! 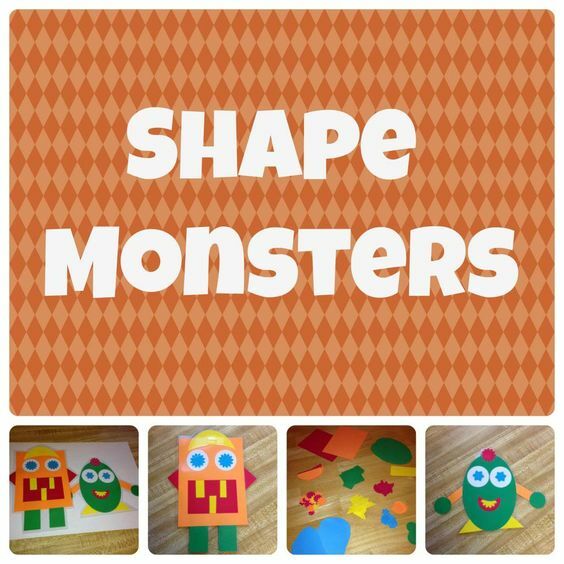 How about some shape monsters to review colors, body parts, and shapes? 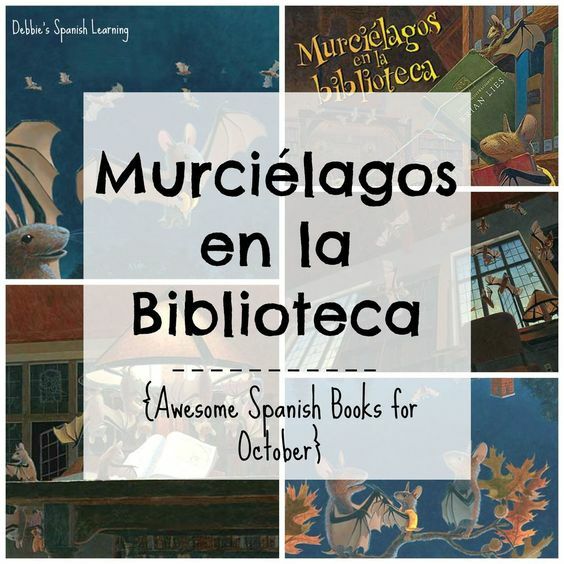 Bats at the library? 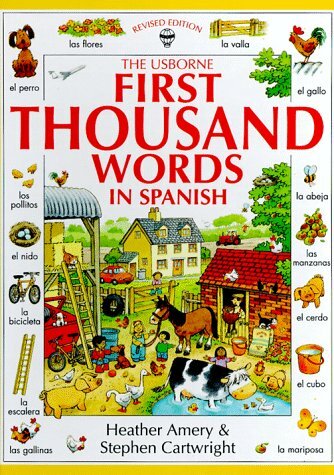 A delightful book about the joys of reading. 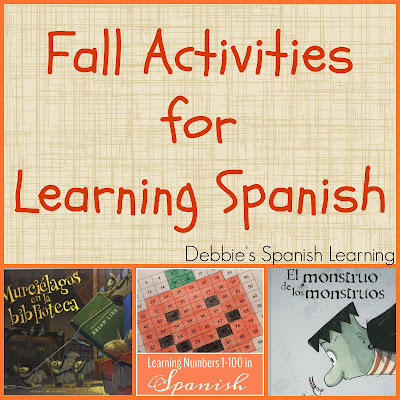 Enjoy learning through the fall!